Searching for the franchise that’s right for you can be time-consuming, so we’ve simplified the process of joining the WSI system. WSI is a globally recognized brand with a proven, low-cost franchise system. In order to continue our growth, we want to ensure that the WSI opportunity is a good fit for you and that you are the right candidate for WSI. The best way to initially assess your compatibility with WSI is by reading the streamlined information we’ve laid out for you on the following pages: Proven System, Strength In Numbers and Affordable Investment. 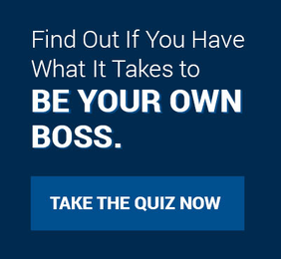 After you’ve got a feel for what WSI is all about, we invite you to take our “Are You Right for a Franchise?” self assessment test to get a sense of whether you are an ideal candidate for WSI. WSI has developed a specific selection process to help you get the answers you are looking for while giving us the opportunity to get to know you. We seriously love what we do and talking about our industry makes us happy, so don’t hesitate to get in touch. As part of the discovery process, you will be given access to our Discovery Center which will assist in educating you on the WSI opportunity. This in combination with calls from our team we’ll be providing you with a complete 360-degree evaluation of the opportunity. Once we’ve had the chance to get to know each other we’ll be sending our complete franchise information package. This will provide you with more details on the opportunity so you can be fully informed about what is involved in the operation of the business including the terms and conditions of the franchise. Once you have received the franchise package we will also be spending some time walking you through a “day in the life” of a franchisee and providing you a virtual tour of some of WSI’s back end systems and resources. Here we want to determine if you have what it takes to be a WSI consultant. Once you are fully informed on the opportunity and we’re feeling good about you, we want to insure you have the opportunity to speak with our franchisees. WSI is proud of our team and want you to learn from this great group of men and women on what it’s like to own a WSI franchise. We also value their feedback and include this when making a final decision to award the franchise. 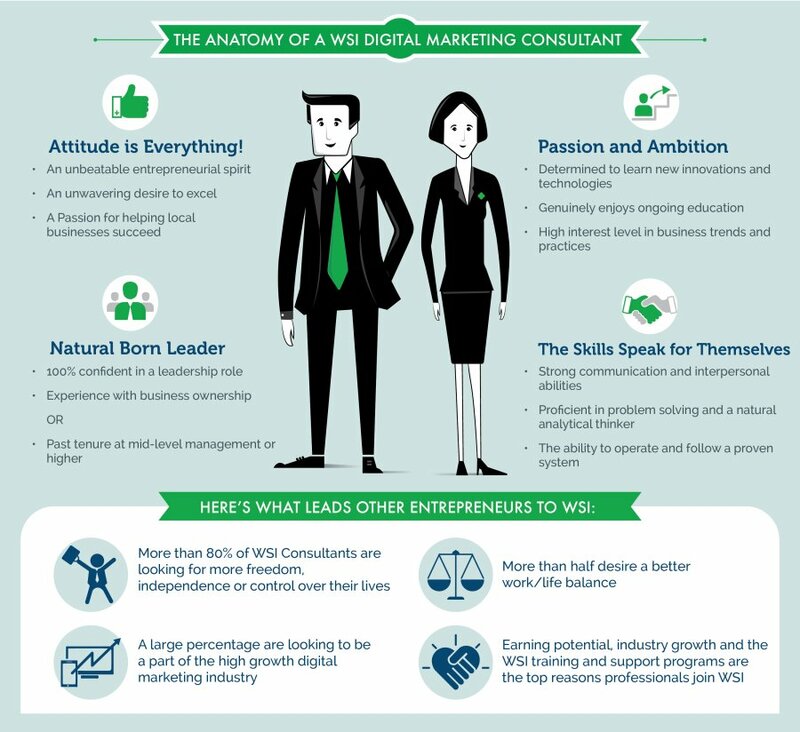 The only thing left to do is decide: do you want to join the WSI network and become an entrepreneur? It’s an exciting time. If you are invited to make a formal application we’ll take it to our selection committee for their final approval. All going well, we’ll make it official, sign your Franchise Agreement and complete payment for the franchise. It’s that easy! The education that comes with your franchise purchase includes online pre-training and an intense weeklong hands on training at our head office in Toronto, Ontario. We’re here to build up your knowledge from the ground up regardless of your background. You’ll receive a general overview of digital marketing and a full slate of sessions on how to use WSI’s proven system to join the ranks of our most profitable franchisees. In addition, you’ll get to meet some of the people who will support you and your WSI business, including your QSP coach and other valuable members of our home office staff. Congratulations! After you leave Toronto, you will have completed the transition into an entrepreneur. Your dream is a reality, and freedom and financial stability are within your reach. Once you leave training however, we will be with you every step of the way to guide and support. As you move through the various stages of your business , never hesitate to lean on the power of the WSI network - that’s why you become one of us! Finding the right franchise that fits your interest and needs is arduous. So, we've simplified the process for you. Listen to those who've already chosen WSI and discover what it means to be part of our team.